Marblehead Lighthouse State Park is located on the rocky shores of Lake Erie in Marblehead, Ohio. The park grounds are open year-round, however the Lighthouse, the Keeper's House Museum and Lifesaving Station Museum are only open from Memorial Day weekend through Labor Day weekend. 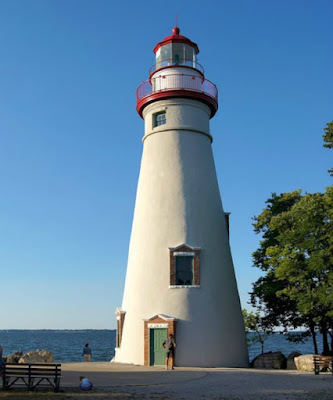 * Marblehead Lighthouse - Take a tour of the lighthouse and climb the spiral staircase (77 stairs) to the top for some incredible views of Lake Erie and nearby islands. * The Keeper's House Museum - Sits adjacent to the lighthouse and was constructed in 1880. Over the years it was home to 16 keepers and their families. 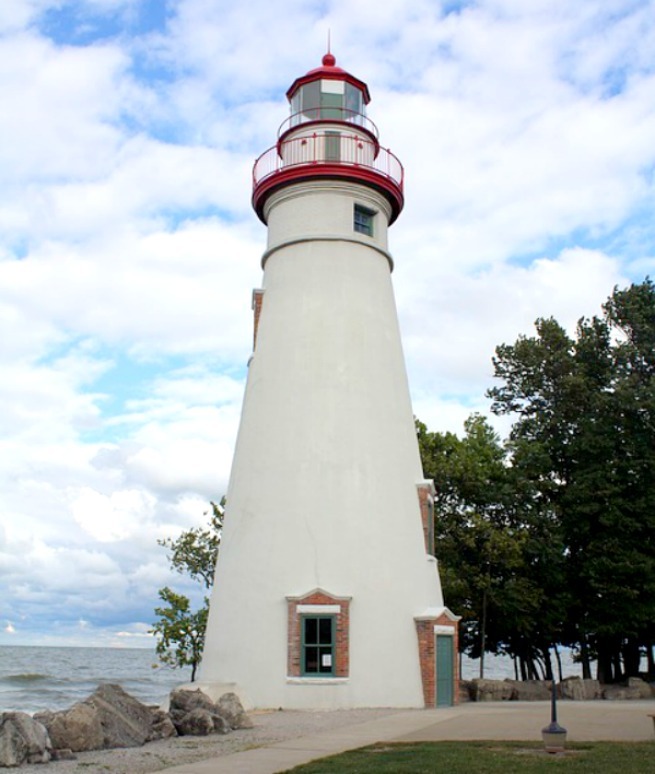 This is where you'll learn all about the history of the lighthouse, its keepers, information about Lake Erie and the surrounding area. * Lifesaving Station Museum - is a replica of the original station (built in 1876) that was completed in 2016. It's located near the lighthouse and features a variety of exhibits. You can learn all about the history of the U.S. Lifesaving Service, the U.S. Coast Guard and more. If you're planning a visit to Marblehead Lighthouse State Park you'll want to visit their official website for park information. If you're looking for cottage rentals or a list of restaurants nearby, you'll find a list on their website too.